Aka: How can I convert a .vdi or .vmdk to a real installation on a physical disk? Is it possible/feasible to migrate a Virtual Machine installation of Ubuntu onto a physical machine? If possible, how difficult would this be to accomplish and what steps would i need to take to prepare for the migration. I'd like to do some testing on a VM and if it works out migrate that system to physical hardware instead of reinstalling everything. Is this possible? Yes, it's possible. It's not even that hard, it just takes some time, a Ubuntu LiveCD, sticky-back-plastic, and an external USB disk (if you don't have more than one internal disks). Both VMWare and VirtualBox (amongst others) use disk formats that don't lend themselves well to being written directly to disk. You can but I personally feel it's more convenient to write it to an intermediary, standard image first. You can do this from your current system without having to boot to a LiveCD. Move /media/wherever-the-image-is/disk.img somewhere that you're not about to write to. If you're planning to write it to the disk that it's currently sitting on, you'll want to stick it on a separate internal disk, or, worst-comes-to-worst an external disk. Before you do any serious writing, make sure you have backups. It's a cliche thing to say but one typo and there's a very real possibility you'll nuke your system. Assume that things will go wrong and be prepared. CloneZilla can help you take whole disk backups if you have somewhere for that data to be stored. You'll want to do something like this. This assumes you're going to overwrite a whole disk. If you want to do an alongside-Windows install, don't follow these instructions! Skip to after the bullets. Boot into an Ubuntu Live CD and click Try Ubuntu. Mount your the place where your vmdk image is being stored (eg the external USB disk as /media/dave). Do not mount the place where you want to write to. You want to replace sdX with the correct path to your destination disk. The sudo password is blank, just hit return. You can then open gparted or something else and you should see your Ubuntu partition sitting on the disk. You should be able to expand it out. This is perhaps an altogether safer way of doing things. The idea is very similar apart from you do a proper install of Ubuntu and then just sync over the files from disk.img. Your LiveCD this time will need to be the same version of Ubuntu as your virtual install. Boot into the Live CD and, again, click Install. Follow the installer through, repartition things as you see fit. About 10 minutes later, you'll be installed and it'll ask you to reboot. Don't reboot. Doesn't matter if you accidentally do, just make sure you're back in the LiveCD for the next instructions. Mount your new install's partition and your external disk where you've stored the disk.img from earlier (just double click them in nautilus). "NTFS signature is missing. Failed to mount '/dev/loop0': Invalid argument The device '/dev/loop0' doesn't seem to have a valid NTFS. " Reboot and you should be greeted with your old VMWare install, but on bare metal. If you get nasty grub issues, you can fix it by going back to Live CD, chrooting and fixing things. Maybe it's not exactly what you are asking for, but it may accomplish what you want to do. Since all your settings are stored in your home directory, you can just make a backup copy of it to another partition on a real disk. After you installed a fresh Ubuntu on a real disk, just run backup program once again to restore your home directory with all setting intact. 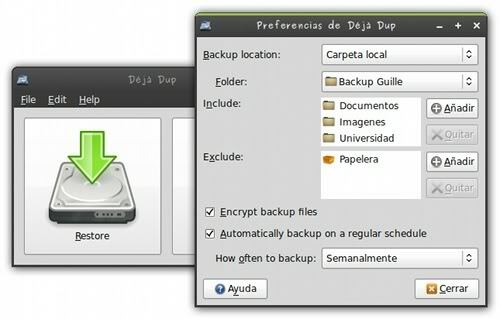 You can use a really neat backup program called Déjà Dup. You will be done in less than two hours! The idea is to stream the whole your vmdk out of it's Virtual Machine to physical machine, where it is written to the physical hdd. Since you have a vmdk file, you might have a VMWare Workstation at your disposal, even complete Virtual Machine this vmdk is attached to. Run your Virtual Machine with this particular vmdk attached, but instead of ordinary boot use PartedMagic liveCD to boot from. After selecting this Virtual Machine to be the sender, you should select which drive you want to broadcast (using Unix notation, like /dev/sda). After you've started the sender, you need to start receiver as well. Since you have a physical hdd, I'm assuming, you also have a complete PC with this hdd attached to it. 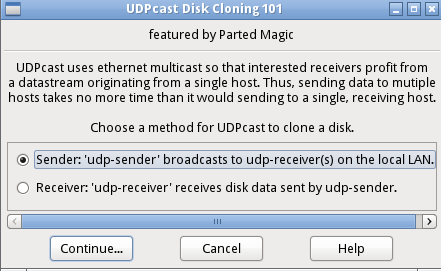 Same thing here: you need to start liveCD with UDPCast Disk Cloning selecting receiver this time as well as appropriate physical hdd. Worth noting, that you should make all the necessary arrangements to have network connectivity between your Virtual Machine and physical hardware. You should take necessary precautions if your vmdk contains private data, since its contents would be effectively streaming over your network. Another thing is that your target hdd should have no less storage capacity, than your vmdk's capacity. It is obvious, but also worth noting that your image is laid out one-to-one on your target hdd and you need to perform suitable operations with gparted or the like to make use of greater capacity of your new hdd. If you've VirtualBox installed, then you can convert VDI (VirtualBox drive image) file into IMG format by using VBoxManage command, then copy into the physical disk, e.g. Note: Use sudo if required. Be careful when specifying the right device in /dev. If you have the new physical disk attached to the machine the VM virtual disk is on, you can convert VDI to physical without an intermediate conversion, probably saving a bunch of time & disk space. This is assuming your physical disk is the same or larger than the virtual disk's maximum size. In my case, the goal was to convert a VDI to a ZFS zvol, but the approach should be the same with any block device. That'll take a while... When it's done, you can delete the VMDK file since it was only used as a pointer for VirtualBox to find the physical device. In my case, the new zvol was exactly the same size as the virtual disk. Given that your physical disk is probably different, you'd need to employ some kind of partition resizing mechanism to fill the full disk. Gparted or something perhaps. You should be able to point that at the physical /dev/sdX device while still attached to the VM machine so you don't have to resort to boot CD's the physical host. Once the resize is done, pop the drive in your physical machine, cross you fingers, and power up. In the event you wanted to keep using the physical drive with VirtualBox, keep the VMDK around, and use VBoxManage storageattach to connect it to the VM. Not the answer you're looking for? Browse other questions tagged virtualization or ask your own question. Create Ubuntu Installation from Virtual Machine? Mount a VirtualBox drive image (vdi)? how to move a raw disk image to a pendrive to make it bootable? how to create a iso installation of current ubuntu server? What backup solution allows for the easiest migration and restore of machines, even if they're restored from a VM or bare metal and vice versa? Can I backup a system and load it to a Virtual Machine?